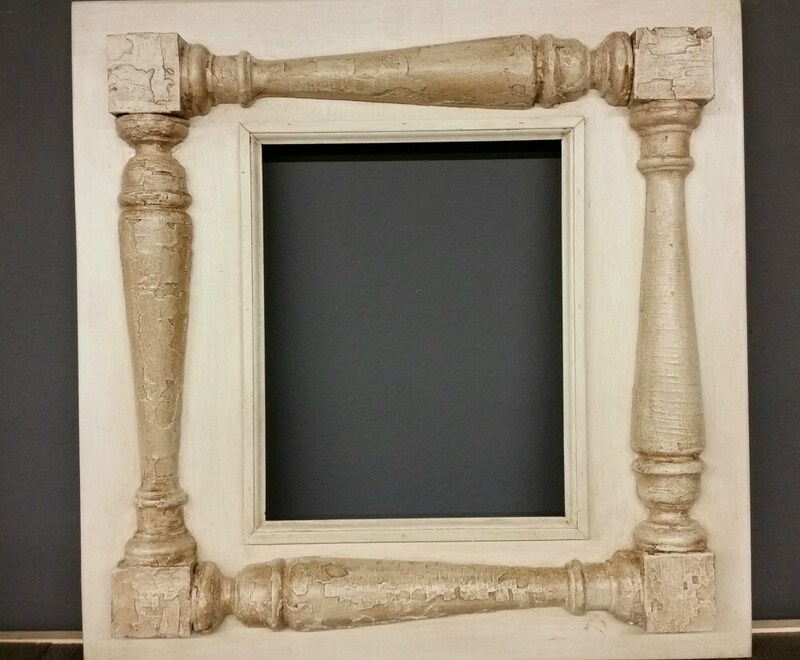 Distressed handmade picture frame - 100 yr old porch spindles from NOLA. 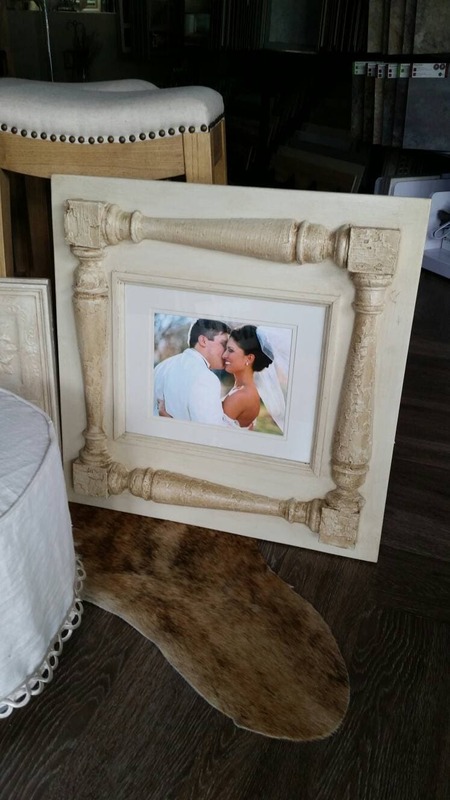 Great Gift Idea - For Nursery or Wedding Gift. 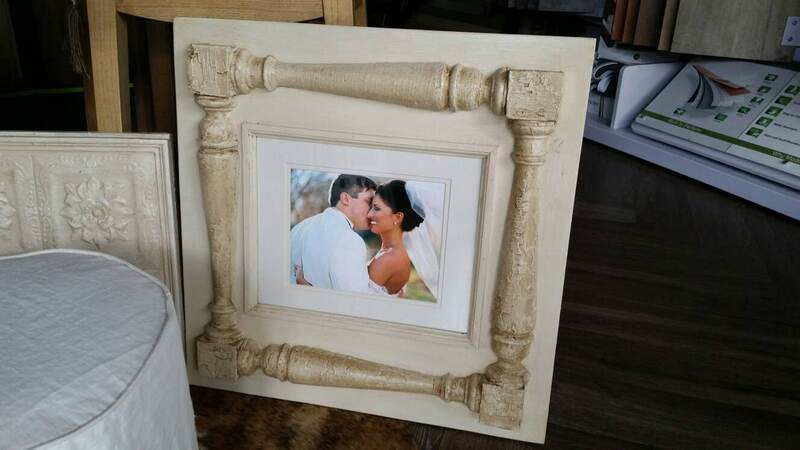 Distressed handmade wood picture frame has a 11" x 14" photo opening. Overall size is 24" wide x 20" high. 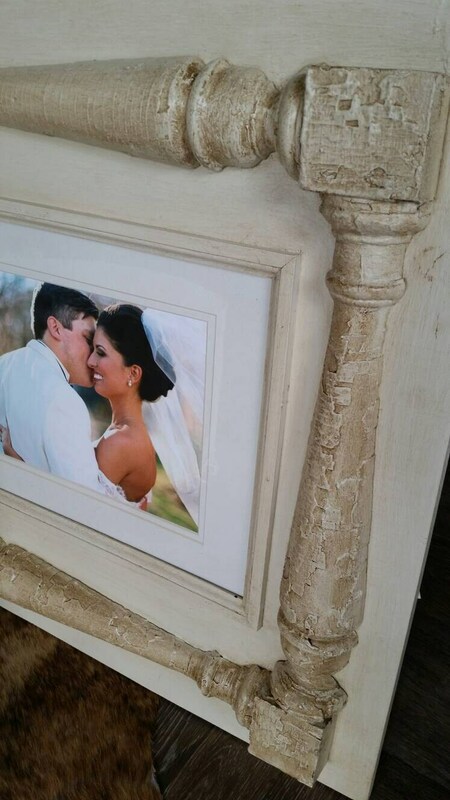 100 year Old porch balusters from a house in New Orleans are used and painted old world white and aged and distressed then waxed with Annie Sloan products and sealed with a matte finish. The one pictured has been sold - yours will be as close to this as possible. 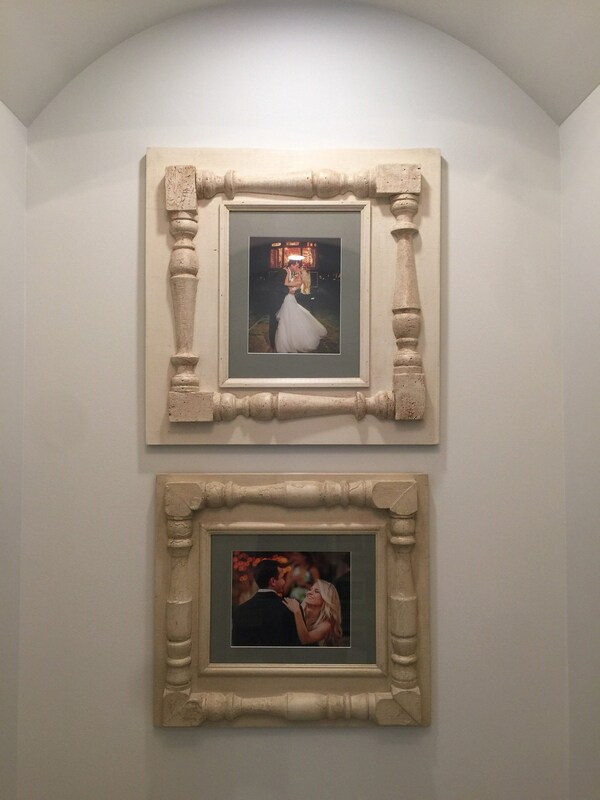 Frame come complete with glass, sawtooth hangers so you can hang vertical or horizontal - just add your favorite picture. 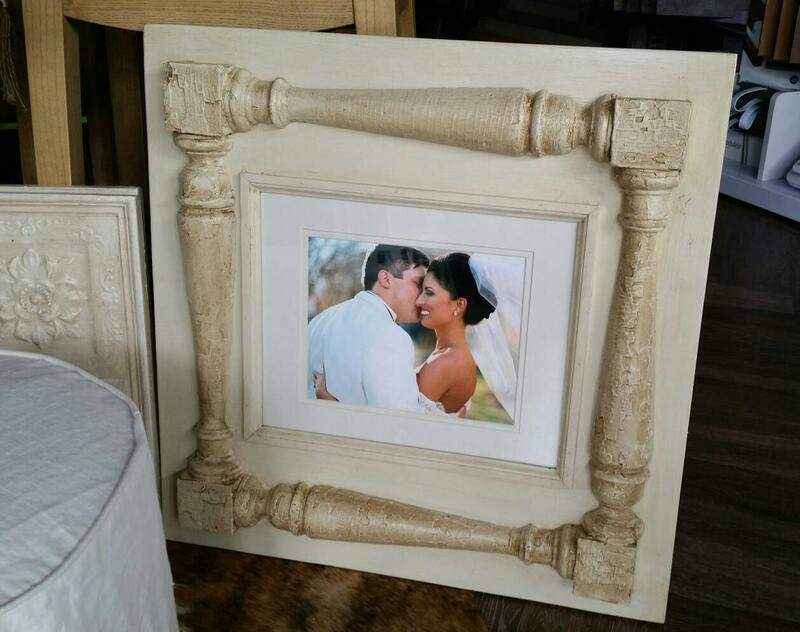 Each frame is handmade by us so custom order are always welcome. If you would like to request a particular color, design or size send me a message. Once custom orders are placed I will notify you with an estimated ship date - turn around time for most custom orders is 3-4 weeks.